Entrepreneur Sylvia Dates-Lindsay, second from right, stands with some of her employees at Sylvia’s restaurant in Bon Accord. 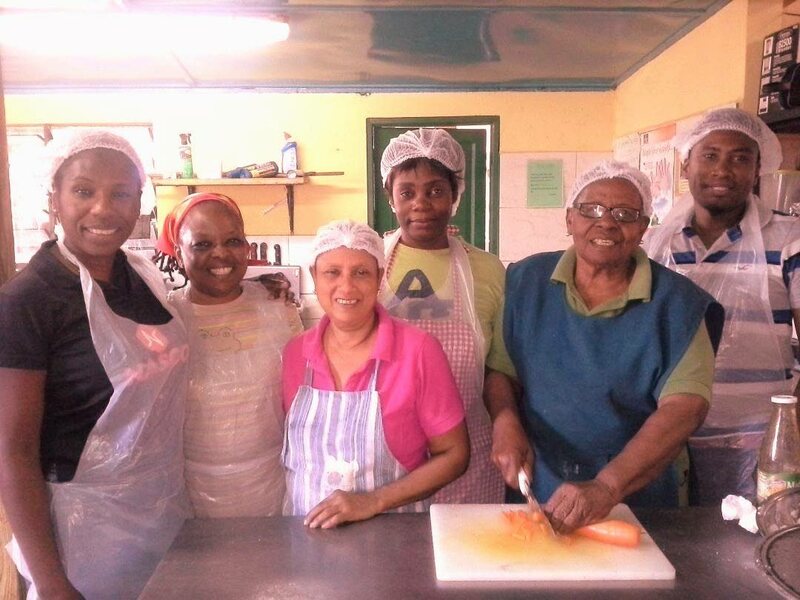 Sylvia Dates-Lindsay of Sylvia’s restaurant in Bon Accord, Tobago has been a chef for the past 30 years. Although she grew up in a home of cooks, she never took to the culinary arts until she got retrenched from her job. Dates-Lindsay told Business Day: “When I was growing up as a child, everyone in my family was involved in the cooking business. They just loved cooking. They would cook anything imaginable. But even though I would cook from time to time, this was never really something that I craved doing. After completing my schooling, however, I pursued a course in customer service at Hotel School and at Crusoe’s Training school, both in Crown Point. After I completed my training, I immediately got a job working as a waitress at the Crown Reef hotel. But after working there for many years, I got retrenched." Dates-Lindsay refused to allow this setback to put a damper on her life, and started to focus on some ways to earn an income for herself and her family. She soon began to tap into culinary skills she never knew she had. 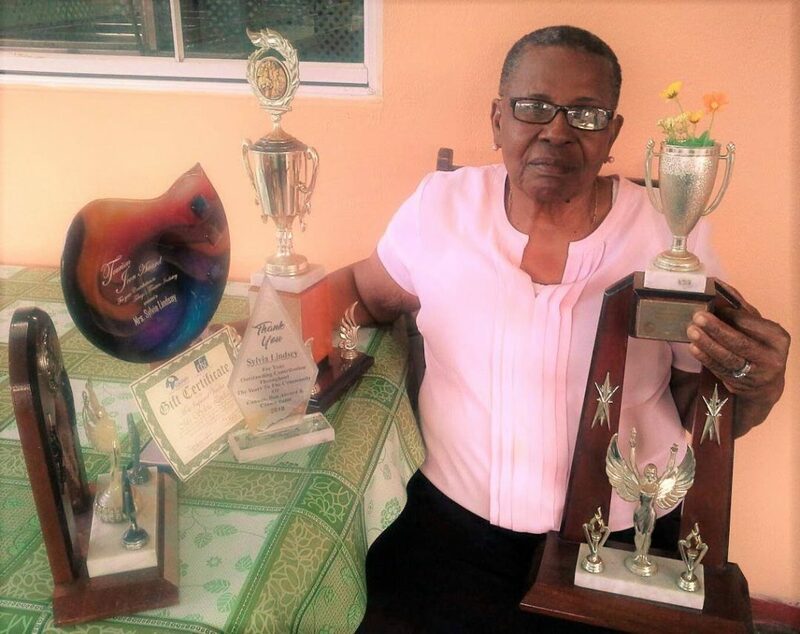 Sylvia Dates-Lindsay poses with some of the awards and prizes which she received while working as a chef. She stressed she never went anywhere to learn how to cook as the skill came naturally. She said she would first imagine the look and taste of the food in her mind and then, as the ideas came, would get the ingredients together and start cooking. She would cook from her own kitchen and sell to the community. She later obtained a cubicle which was built by the Tobago House of Assembly for small entrepreneurs at the Store Bay beach facility, where she made and sold all her dishes of curried crabs and dumplings, oil down, coo coo, callaloo, stewed fish and ground provisions and other local dishes. Eventually, though, the commute from home to her workplace and back began to take a toll on her and she decided to move her business back to her home. She built a small structure at the front of her home from which she operates her business. Although her customers were satisfied with her cooking, Dates-Lindsay sought to broaden her knowledge and skill by enrolling in several cooking classes. She has competed in many cooking competitions, usually placing first and second, and has received awards for involvement in community activities such as catering for weddings, funerals and other social events. She also does pastry-making and cake icing. Dates-Lindsay attributed the success of her business to more than just her good food. She said she is ready to teach her cooking skills to anyone who is interested in learning – free of charge. Reply to "Sylvia’s sweet hand"